*Add an extra 2" to headroom for insulation and hood options. Add 17"-19" to side room for a H50 motor. Add 6"-8" to side room for a MH5011 motor. Read the enclosed instructions carefully before attempting installation. If there are any questions about any of the procedures, do not perform the work. Instead, have a qualified door agency do the installation or repairs. Operate the door ONLY when it is properly adjusted and free of all obstructions. The door is constantly under EXTREME SPRING TENSION. Repairs, adjustments, installation and removal, ESPECIALLY of SPRINGS AND RELATED PARTS, are dangerous so that such work should be performed ONLY by qualified door service people. DO NOT PERMIT children to play with the door. Children could get caught between the door and the floor causing serious injury or death. Avoid standing in the open doorway or walking through the doorway while the door is moving. One could get caught between the door and the floor causing serious injury or death. Should the door become hard to operate or completely inoperative, it is recommended that a qualified door agency correct the problem to prevent possible injuries or door damage. Avoid installing the door on windy days. The door could fall causing door damage or injury. To prevent injuries due to loose components, at least monthly check all bolted connections to make sure they are secure. To prevent injuries, never place hands or fingers between the curtain and the guides while the door is being operated. This page is not intended to provide "take-down" instructions for existing doors. 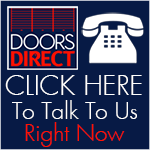 Consult your local door agency if this is required, before new doors are to be installed. Thoroughly familiarize yourself with the construction codes in your region before initiating work. Wear the proper protective safety gear at all times when installing, adjusting, and/or repairing doors. Consider using a 2-person (or larger) crew for installing, adjusting and/or repairing larger doors. 650 up to 7'4" high 15 ½" 17" 4"
650 7'5" - 8'8" high 16" 17 ½" 4"
650 8'9" - 10' high 17" 18 ¼" 4"
750 up to 7'4" high 15 ½" 17" 4 1/8"
750 7'5" - 8'8" high 16" 17 ½" 4 1/8"
750 8'9" - 10' high 17" 18 ¼" 4 1/8"
1000 up to 8' high 18" 17 ½" 4"
1000 8'1" - 10' high 18 ½" 17 ¾" 4"
2000 up to 8' high 20" 20" 7"
2000 8'1" - 10' high 21" 21" 7"
2000 10' 1" - 14' high 21 ½" 21" 7"
2000 14' 1" - 16' high 22" 21" 7"
2500 up to 8' high 20" 20" 8 1/2"
2500 8'1" - 10' high 21" 21" 8 1/2"
2500 10' 1" - 14' high 21 ½" 21" 8 1/2"
2500 14' 1" - 16' high 22" 21" 8 1/2"
2500 16' 1" - 18' high 22" 22" 8 1/2"
3652 up to 8' high 20" 20" 6 3/4"
3652 8'1" - 10' high 21" 21" 6 3/4"
3652 10' 1" - 14' high 21 ½" 21" 6 3/4"
3652 14' 1" - 16' high 22" 21" 6 3/4"
3652 16' 1" - 18' high 22" 21" 6 3/4"
3100 up to 8' high 20" 20" 8 3/4"
3100 8'1" - 10' high 21" 21" 8 3/4"
3100 10' 1" - 14' high 21 ½" 21" 8 3/4"
3100 14' 1" - 16' high 22" 21" 8 3/4"
3100 16' 1" - 18' high 22" 22" 8 3/4"